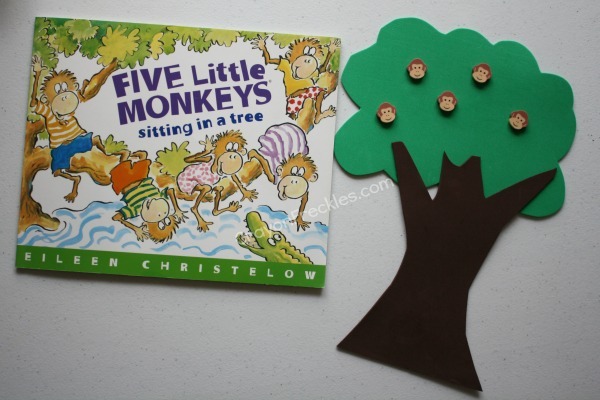 the five little monkeys rhyme is one that i think just about every child knows. there are several books that chronicle their mischievous adventures. 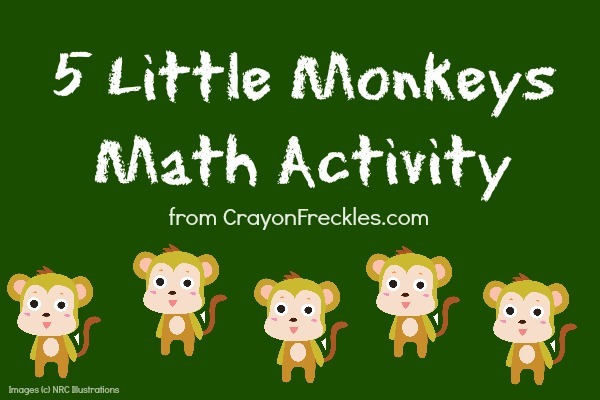 these books make for a great basic 5 little monkeys math activity. to prep for the activity, i pulled out some monkey head erasers that we used here. 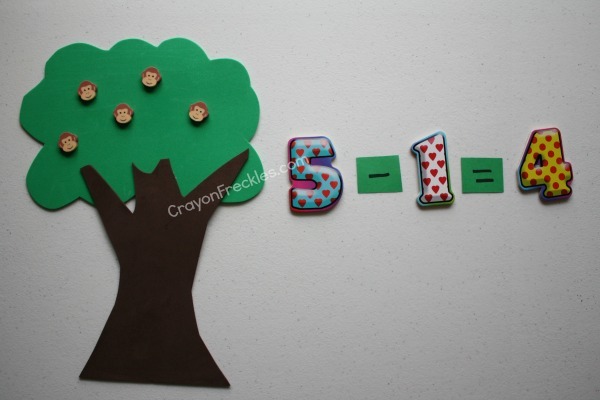 we also used the foam tree from our Otis the Tractor book activities. 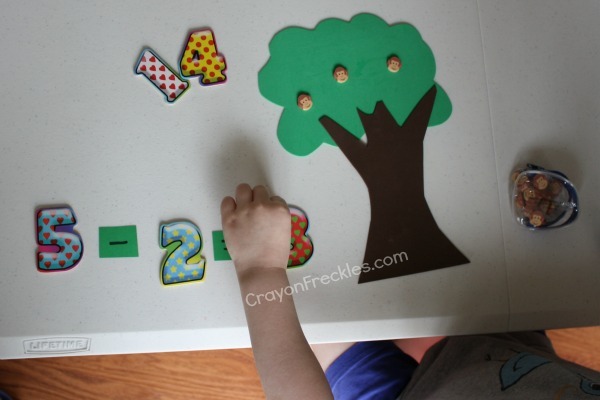 after i had set up the problem, Bear was able to find the answer using the erasers as a math manipulative. This is an adorable activity. I would love for you to share in on Read.Explore.Learn. Kids Spell It Out: who is your hero?